Women from East Lindsey met for a run in aid of Cancer Research on Sunday, July 16th. 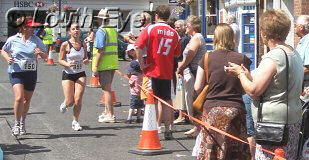 Runners set off from Mercer Row at 11 am for the 5km course around Louth, which took in Hubbards Hills. The weather was favourable, with blazing sunshine the order of the day. 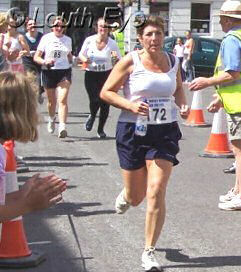 Women from around the region took part, including members of Louth Athletic Club and Mablethorpe Athletic Club. The event attracted hundreds of runners. 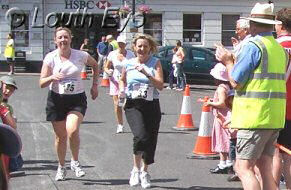 The runners pictured here are all approaching the finish line in the Cornmarket, which was closed to traffic for the event. A crowd had gathered to applaud them as they reached the finish line.